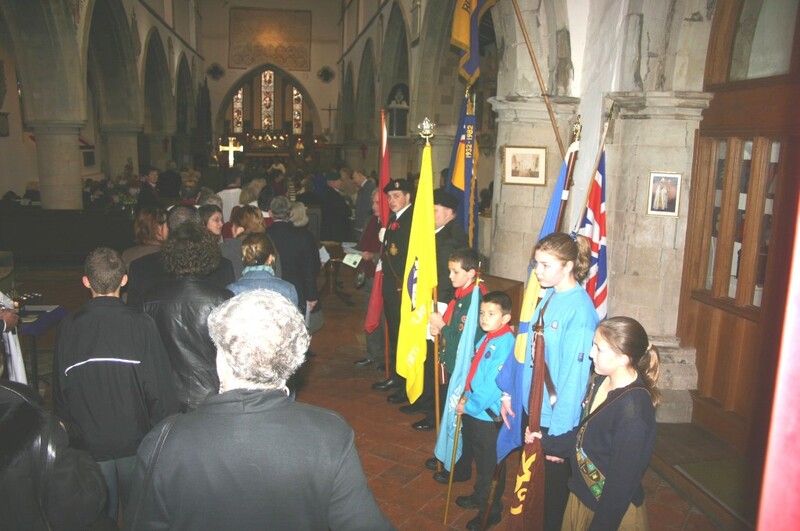 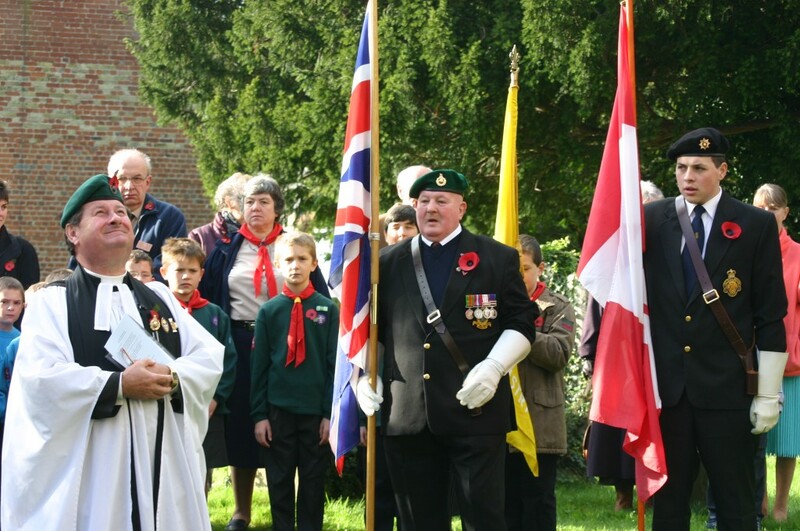 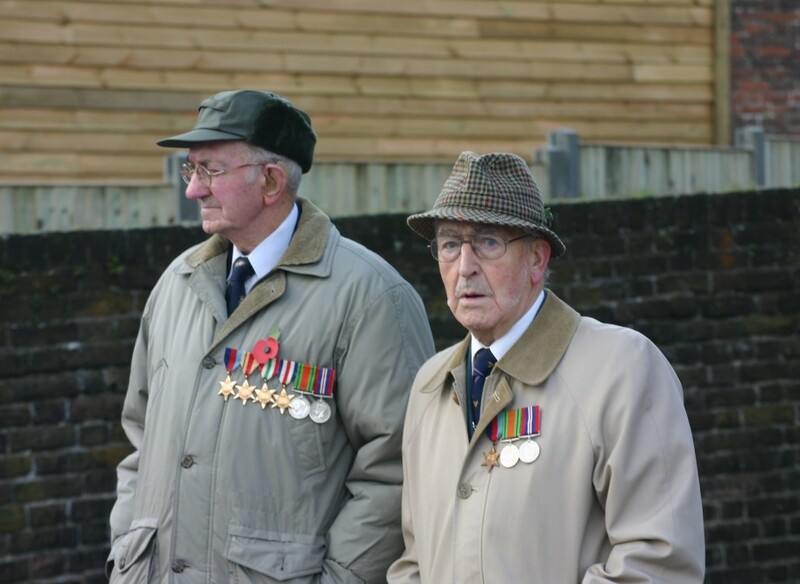 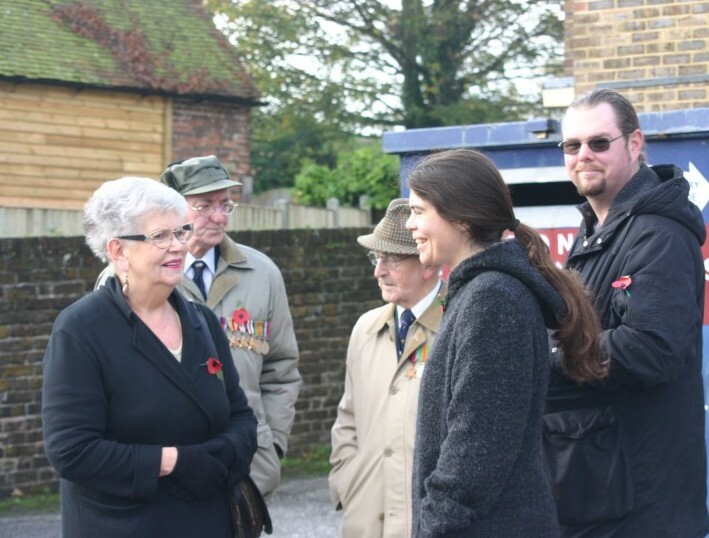 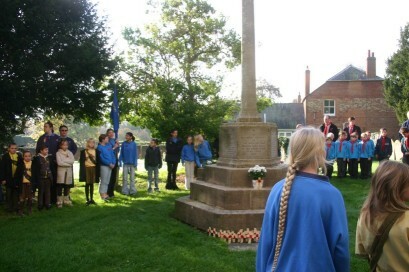 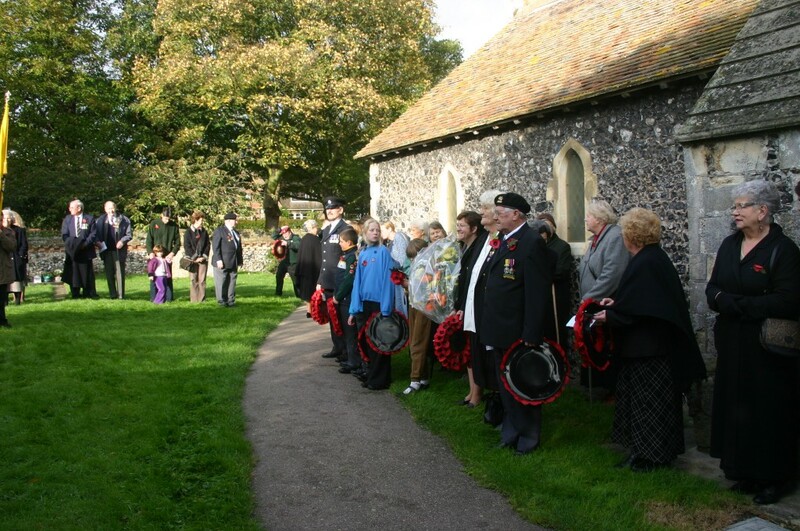 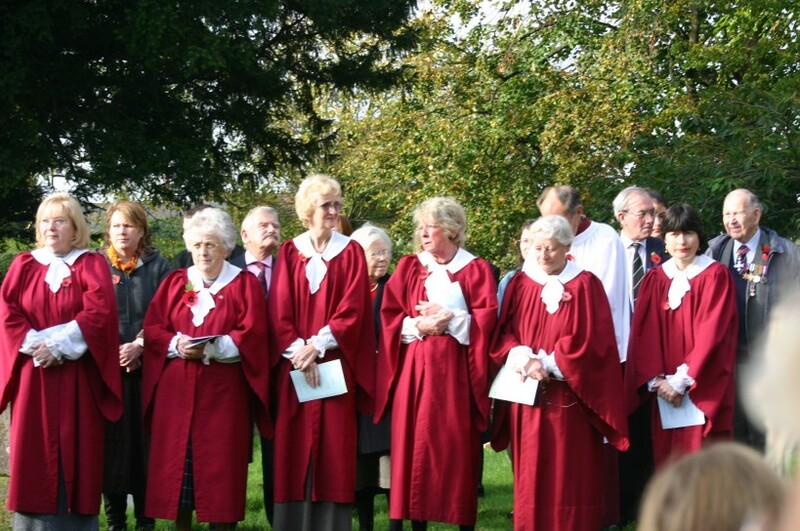 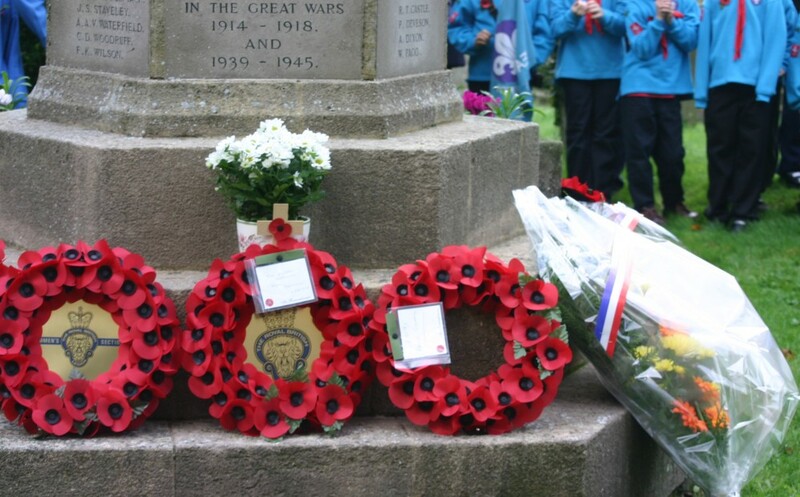 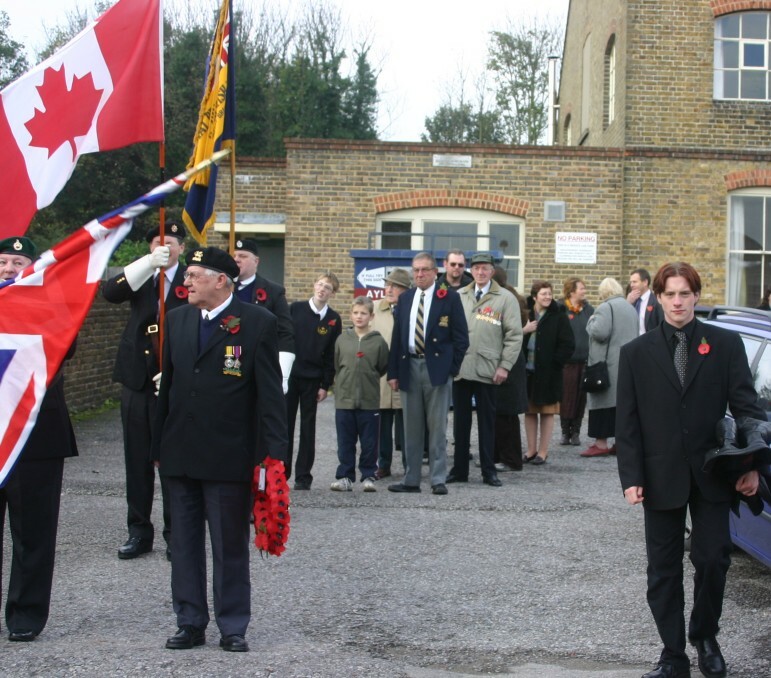 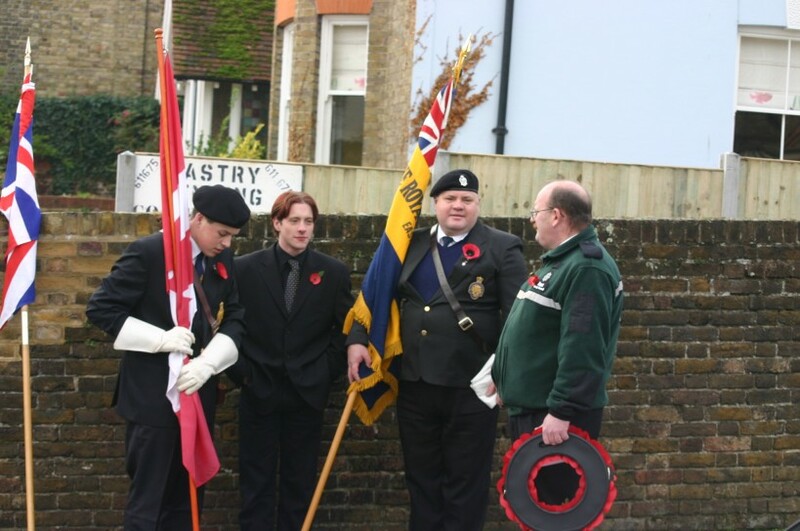 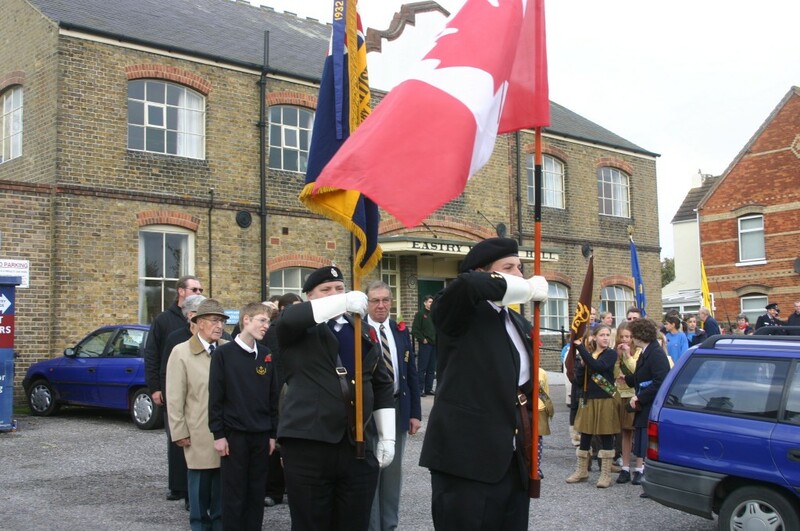 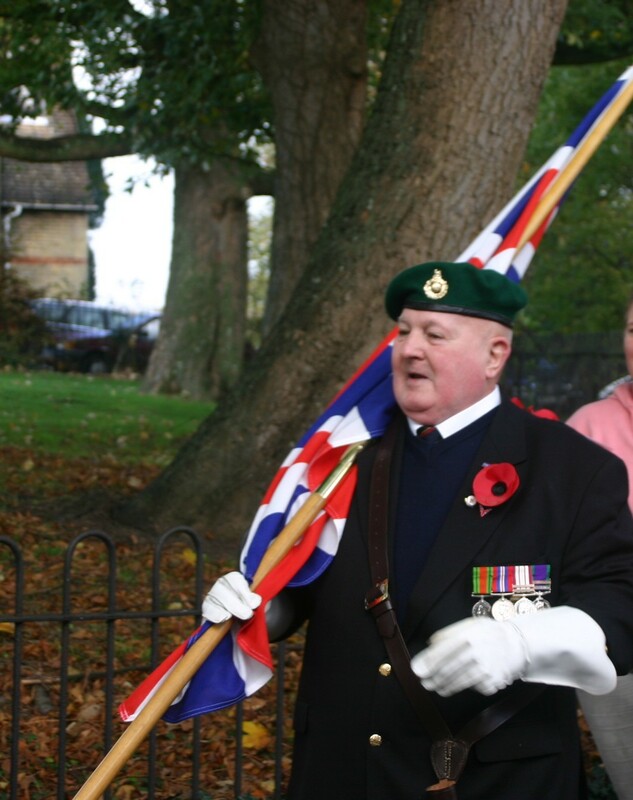 Eastry Remembrance Day Parade: Sunday November 13th 2005. 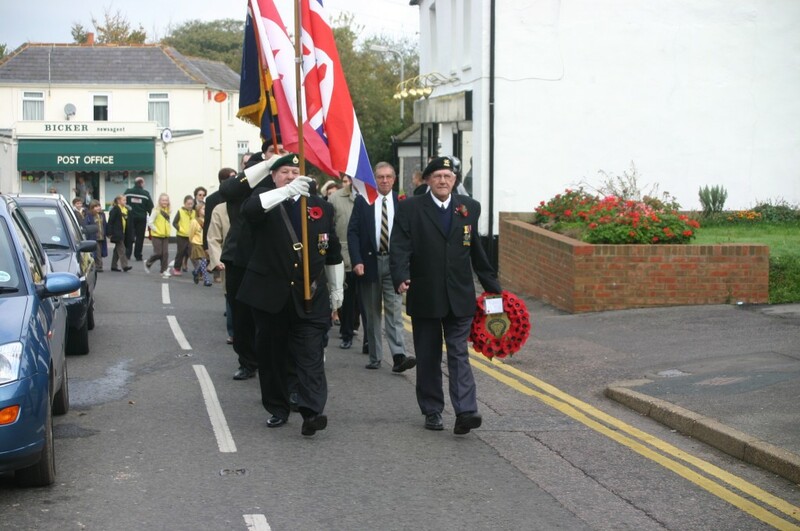 Meeting up for the parade. 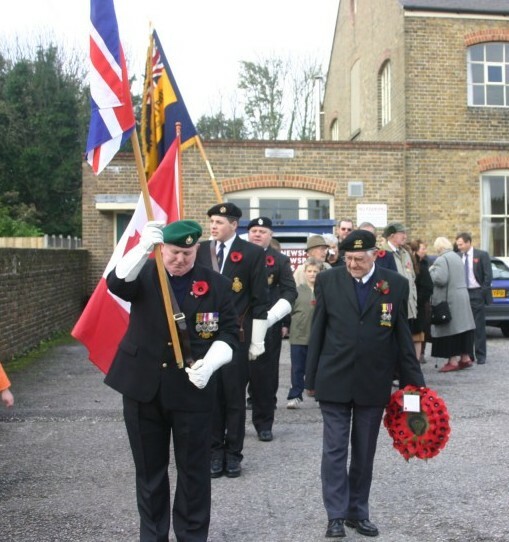 Setting off from the village hall. 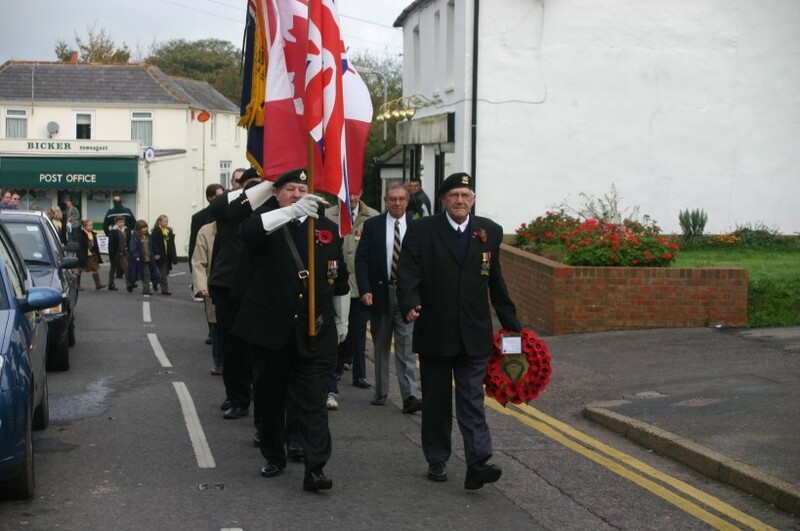 Setting out onto the high street. 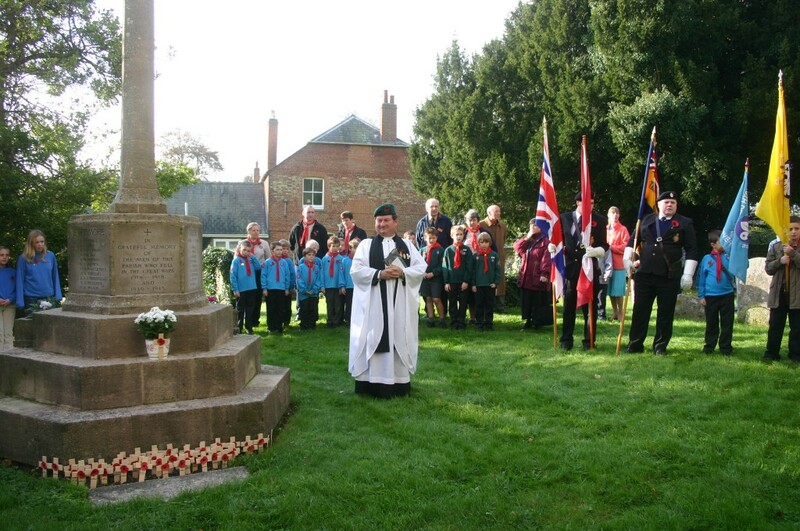 Service at the war memorial.